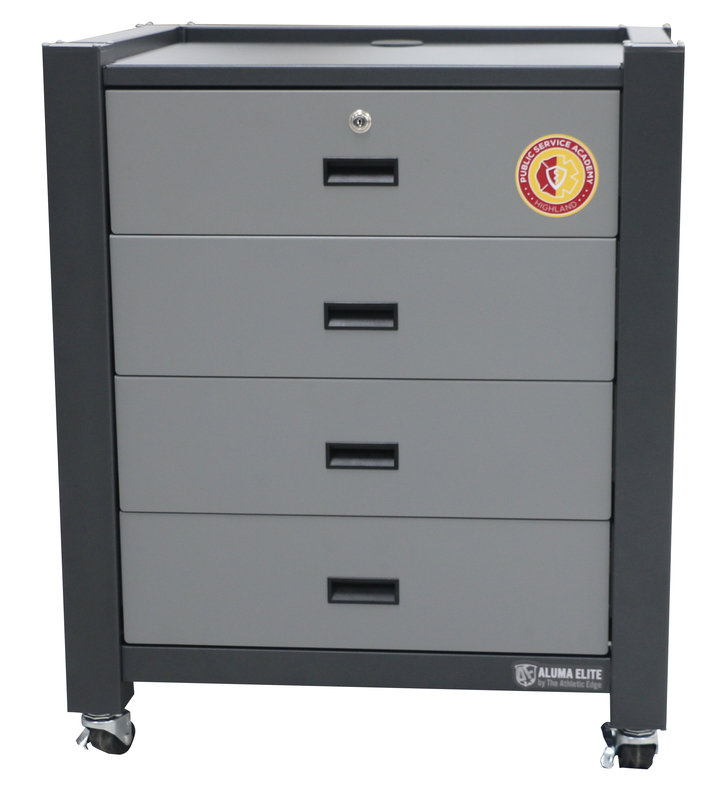 The Aluma Elite Modality Carts are constructed of durable aluminum and are offered in multiple configurations to suit your storage needs. 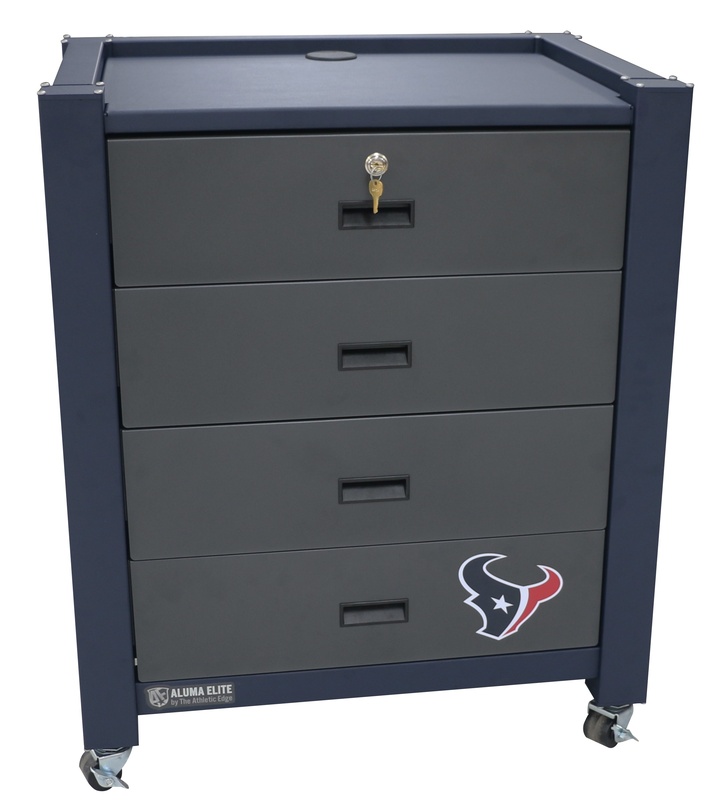 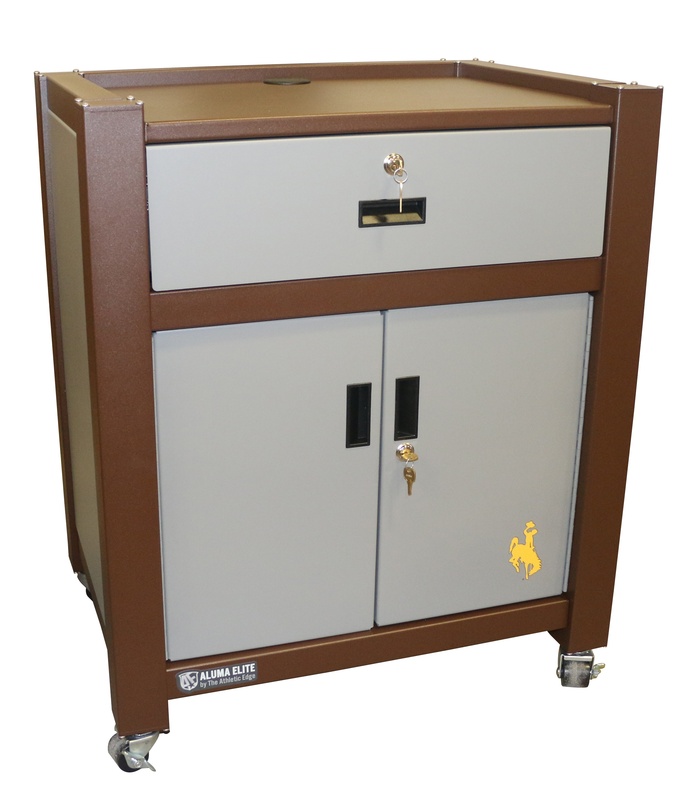 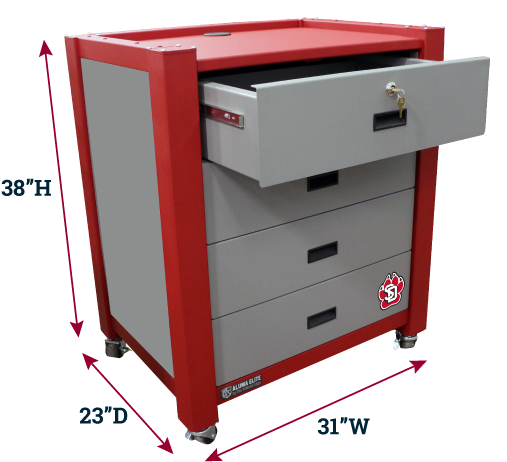 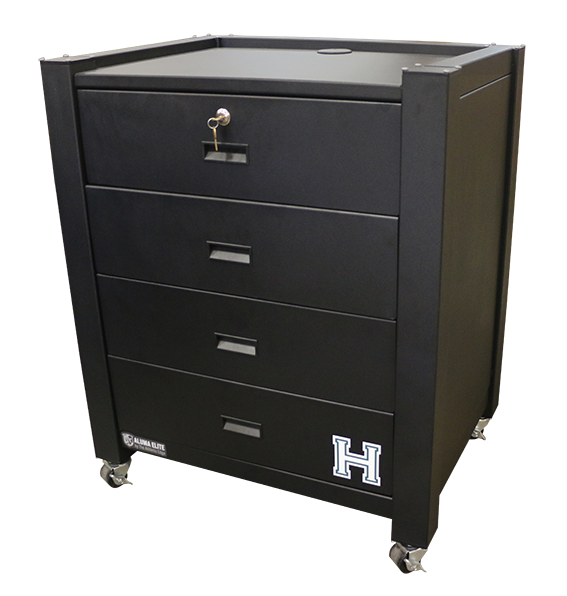 Features include a tough powder coat finish, drawer and door key locks, electrical grommets for easy cord routing, and 2” non-marking casters. 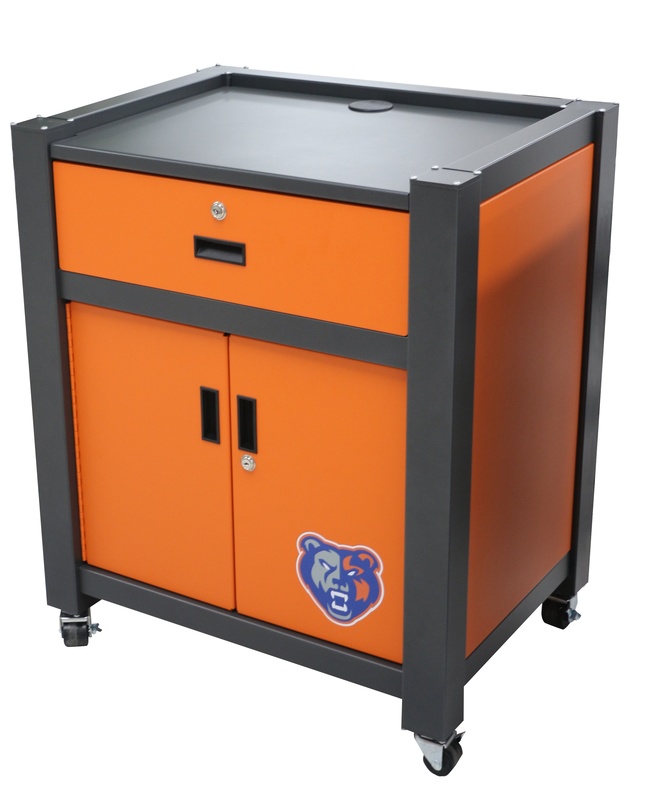 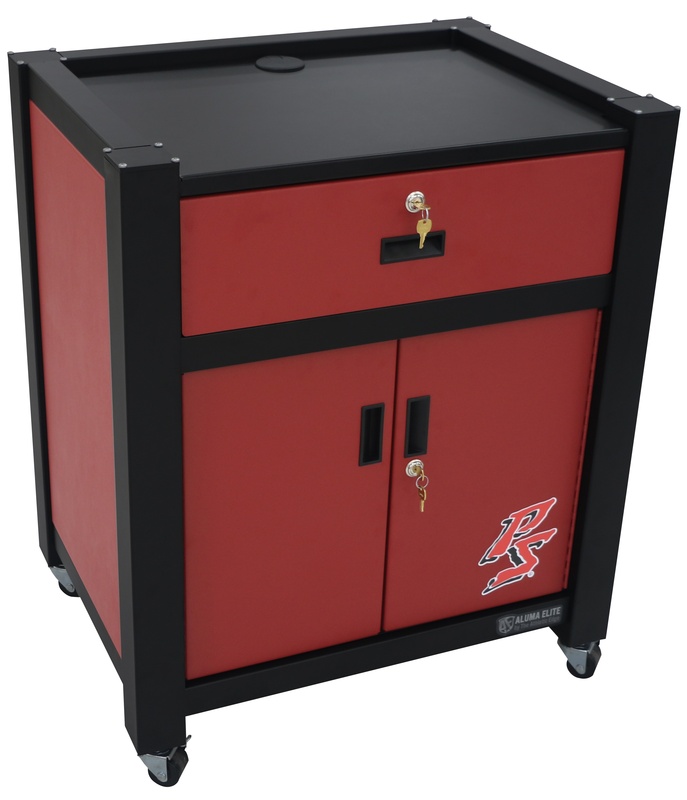 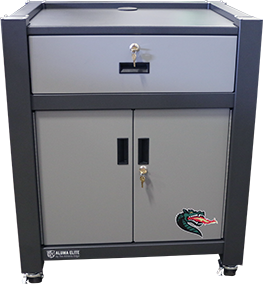 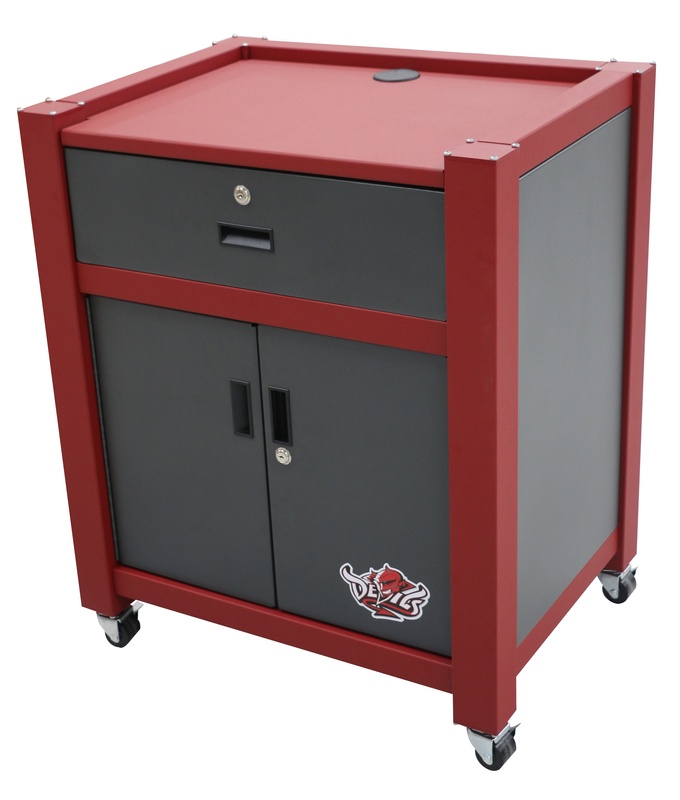 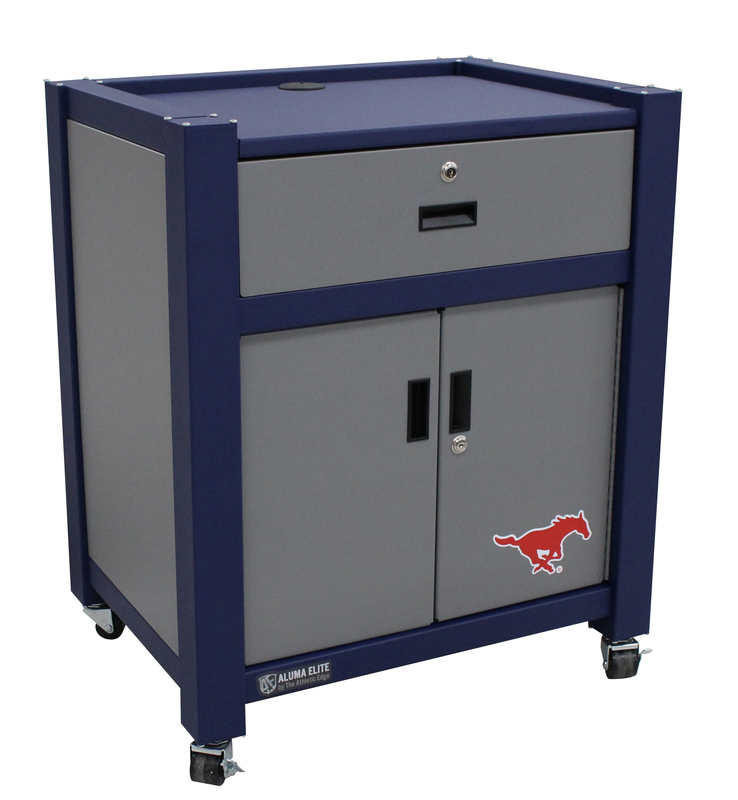 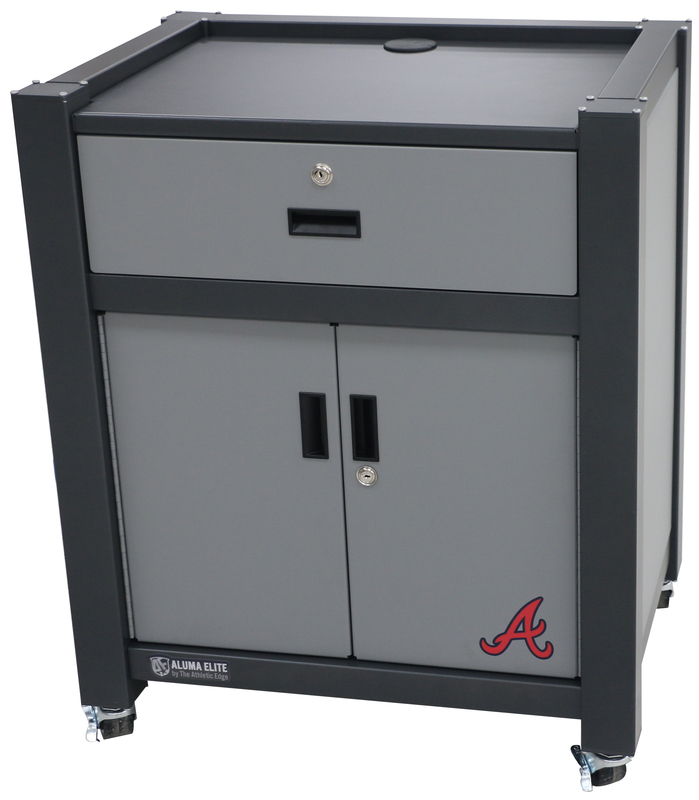 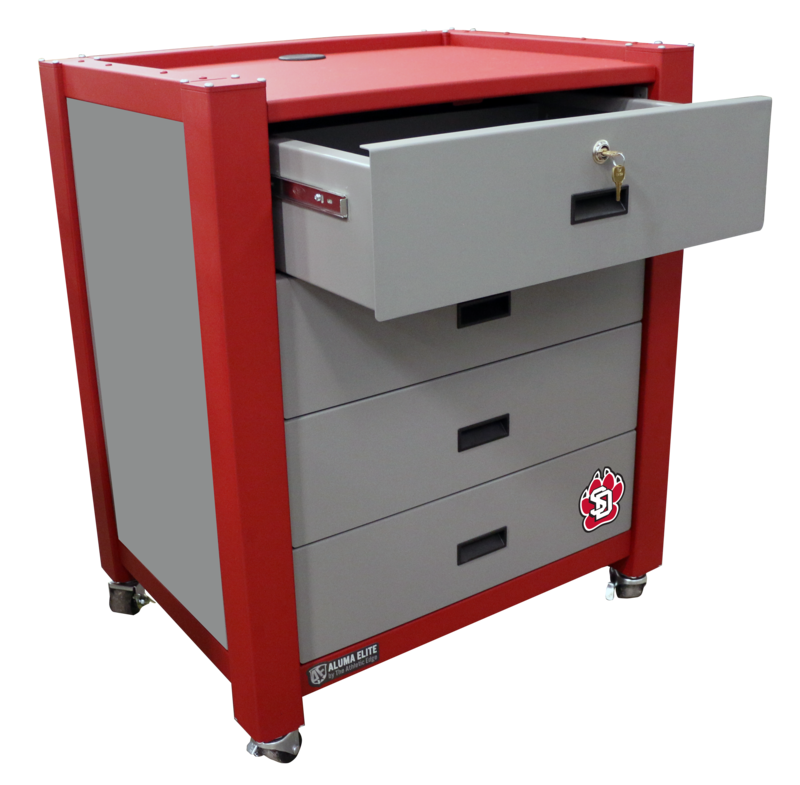 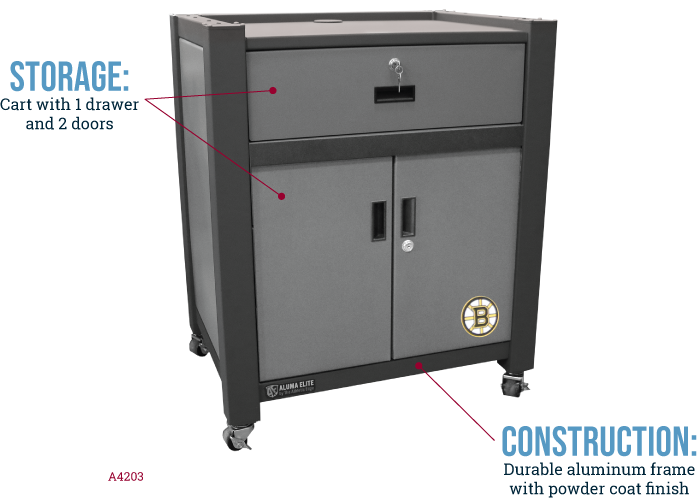 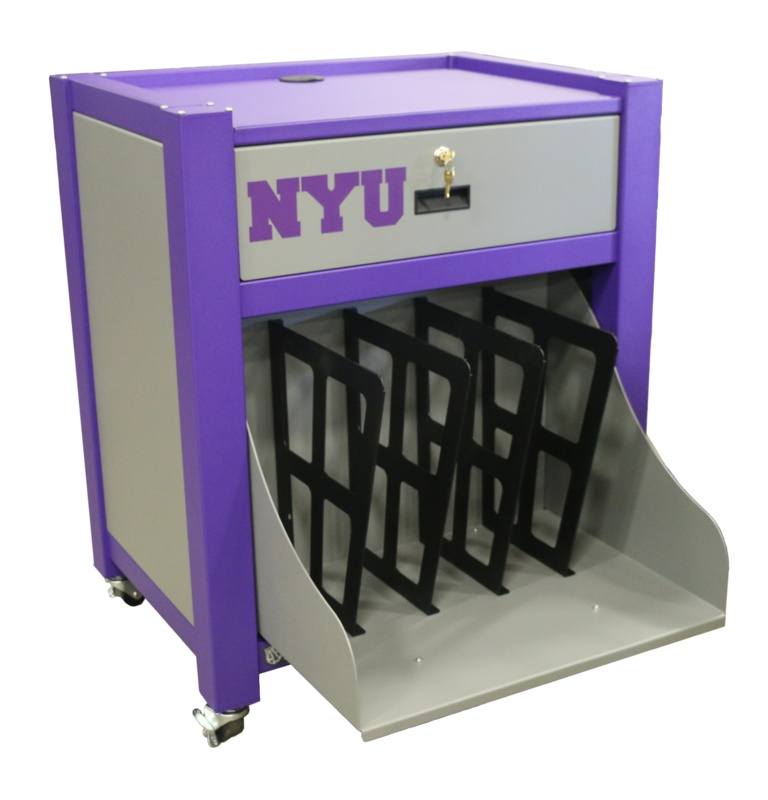 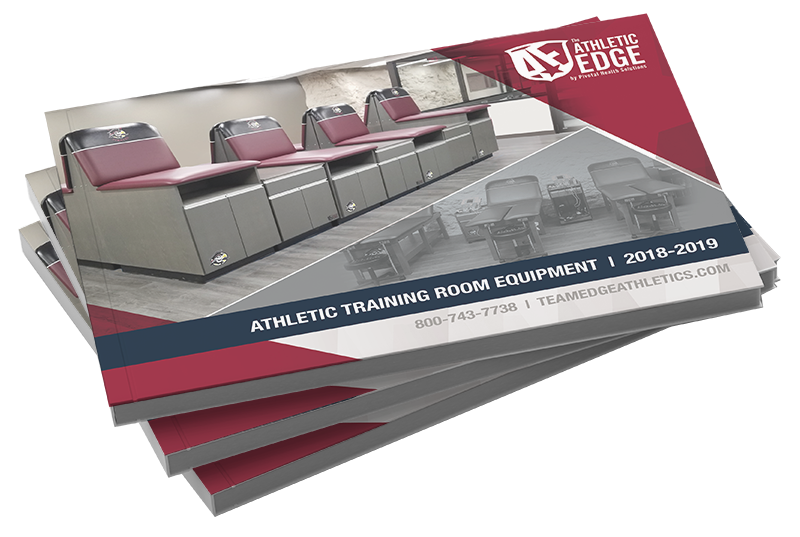 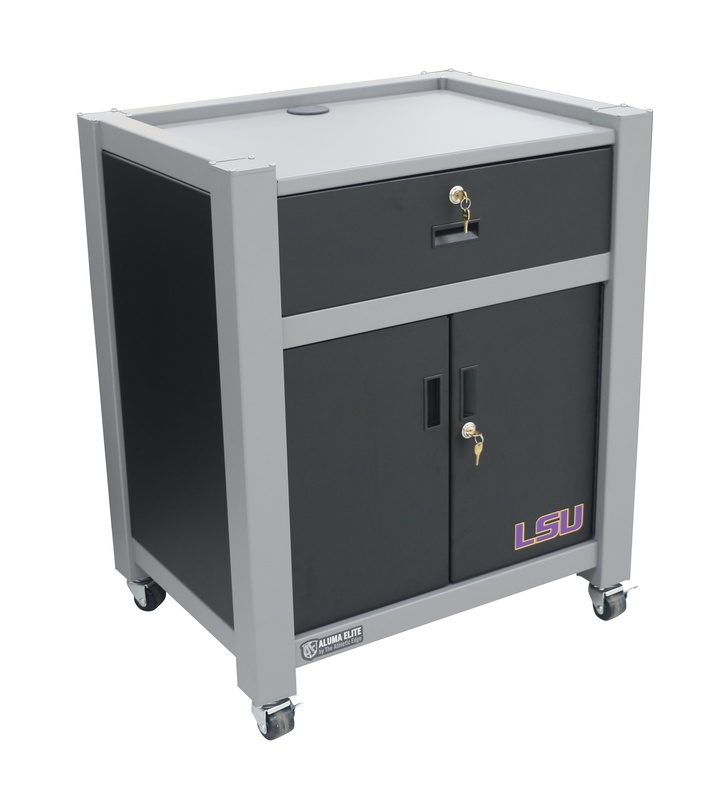 Customize your modality cart for your school, team or organization with a custom graphic, included on every cart.